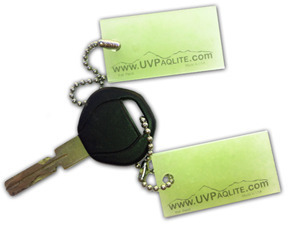 Inside each gear tag are enhanced glow in the dark crystals (strontium aluminate). These crystals absorb any light to charge, glow in the dark all night long (+12hours) and never expire. They are non-toxic, non-radioactive, and contain no liquids or gels. 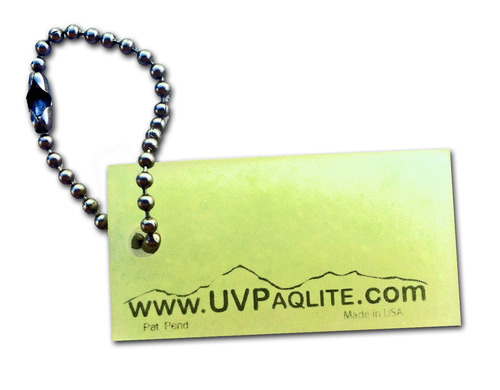 All of our gear tags are designed to be markers/beacons/locators in the dark. Attach them to items you need to easily access in the dark. They are not designed to illuminate space.